The volatility of the "micros" can be frustrating, especially for new players. Here are five tips for keeping cool. A big key to success at lower stakes online is being able to keep a level head when things inevitably go south. 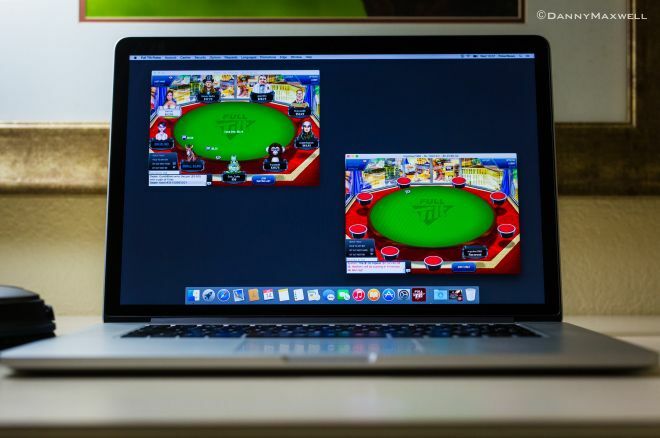 Let’s face it, small stakes poker — or “the micros” as we refer to it online — is a bit of a jungle. There are so many bad players, crazy players, and tilted players that sometimes you have no clue what they are going to do next. This is one of the reasons why it is possible to beat these games for such a high win rate. However, this ever-present volatility is also something that holds a lot of people back. You will undoubtedly face more bad beats than at any other stakes when playing against competition like this because they don’t fold anything (or at least that is how it seems sometimes). You will also frequently face all of the typical variance of coolers and the like. For newer poker players, this can often prove to be too much for them, especially if they hit an extended downswing where things go poorly for days or weeks on end. Indeed, one of the single biggest keys to your success at the lowest stakes is simply being able to keep your cool when things inevitably go south for a while. In this article, I am going to share five mental strategies I use to reduce the impact of tilt when things aren’t going my way at the micros. When I am playing online and the proverbial crap is hitting the fan, I will often simply sit out on all of my tables for five minutes and just go walk around for a bit. If it is a nice day, then I will step outside. The point here is to give myself a short breather. It is really easy to get caught up in the moment when the beats and coolers are coming at a frantic pace. By taking a short break like this, I allow myself to collect myself and rationally think through what is going on. I remind myself that I am a big-time long-term winner. If I feel like I am playing well and I want to continue playing, then I will do just that. However, if I feel like I am too tilted, then I will just call it a day. One of the biggest reasons why people tilt is because they beat themselves up over the mistakes they make. Sometimes you are going to make a poor play. Sometimes you will read somebody totally wrong and lose a big pot as a result. And sometimes you will even make a dreaded misclick in a big hand online. You will never be a perfect poker player. Everybody makes mistakes like these and you need to recognize that it is okay. You can also learn from your mistakes. If you are playing online and you use a HUD, then mark the hands where you think you played poorly. After your session is over, go review them with a clear head. This way you can avoid making the same mistakes again in the future. If you feel really tilted by a specific hand, then sit out and take that mini-break. This will allow you to mentally process what happened in a rational way and move on. Hopefully you are a long-term winning poker player. If so, then simply remind yourself that despite what is occurring right now you are profitable in the long run at the tables. The short term is always just an illusion in this game. You can even create some physical proof to help you remember this. I often use a long-term graph of my results as the wallpaper on my desktop. If you play live, then perhaps you track your results on some sort of mobile device and can refer to that. Sometimes little reminders like this can help. Make it impossible to ignore the long-term success. It helps you understand that what is happening right now isn’t real — or at least isn’t at all indicative of the big picture. If you do not have a history of success yet, then you should work towards finding and addressing the problem areas in your game. Reviewing your hands or discussing them with other winning poker players can be a big help. You can also improve your understanding of the game by reading poker books, watching poker educational videos, hiring a coach, or taking advantage of the numerous other resources on the internet. Lastly, it is important to understand that regardless of whether or not you are a long-term winner yet, nothing that happens in a particular session means that much. Anything under 10,000 hands is honestly almost meaningless in the long run of this game. It is very commonplace to run absolutely horribly or lights-out good over a sample size like this. It is also completely normal to endure just average luck (good or bad). To get a true picture of your real results takes a lot longer. I often suggest 10 times this amount of hands for a start (i.e., 100,000). This might sound like an incredible number, but this is the nature of poker. And indeed, this is why it is such a profitable game. Most people see the short run as the only reality and tilt all of their profit away and more when things go bad for them. The biggest winners are invariably the ones who can see through this illusion. A big part of the actual psychology of tilt revolves around the negative thoughts that start swirling around in your head when things go bad. You may start to believe them, leading to a “victim mentality” which in turn often leads to feelings of frustration and poor decision-making. The problem with these statements is that none of them are actually true. The simple math tells us that a flush draw is always a significant underdog to a made hand, running pocket kings into pocket aces is extremely rare, and lucky cards are called “lucky” for a reason. A big part of reducing tilt is learning to challenge and then change these false statements into true ones. This will allow you to stop distorting reality at the tables and see the beats and coolers for what they really are — variance. Lastly, it is important never to take this game too seriously. You probably started playing poker because you found it fun, right? I know I sure did. Well, the game should always remain this way. When things are going badly at the tables, ask yourself how much it really matters in the grand scheme of things. Is having a bad day or week at the tables really going to bring your world crashing down on you? Is losing 20, 50, or 100 bucks really a big deal? Probably not. Find the humor in this game. Even the very best players in the world get slapped silly on many days when they play. What is the point in getting overly mad and frustrated about it? The only thing you control is your own play. As long as you are making good decisions on a consistent basis, then you should always be happy. If you find yourself getting too frustrated about your day-to-day results, then it is a good idea to step away from the tables for a bit. It is fine to be competitive and strive to win, but your short-term results will always be outside of your control in this game. Work on the only thing that you do control which is making quality decisions. Everything else will fall into place over time.